Please join us for this interactive discussion on engaging and retaining a changing workforce. Between having 4 generations in the workforce and the trend of decrease in traditional employment this reality represents a massive shift with profound implications for organizations. Elise Freedman is a Senior Director specializing in Talent Management in the Washington DC office of Willis Towers Watson as well as the Mid-Atlantic Market Leader for the Talent Line of Business. 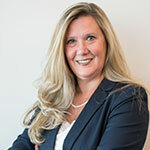 For over twenty five years, Elise has worked with clients to align their talent management processes with their business strategy to drive engagement and business results. Prior to Willis Towers Watson, Elise also held a number of senior roles at Accenture, BearingPoint, and Novations where she developed a broad base of talent management, change management, human resources and project management skills and expertise. 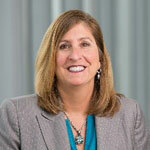 Pam Murray is a versatile, trusted HR leader and advisor within Willis Towers Watson’s Value-Added Services division; serving a dual role of HR subject matter expert for the Atlantic region as well as a member of the national compensation team. Pam’s depth and breadth of expertise is within total rewards with extensive experience in the healthcare, corporate and consulting industries. Prior to joining WTW in 2012, she was the Director, Compensation for a Fortune 500 company with over 120,000 employees in the US. She also served as the Compensation and Benefits Director for both stand alone and system affiliated hospitals within Maryland for over 15 years. Program has been approved by SHRM for 1 PDC towards SHRM-CP and SHRM-SCP recertification and approved by HRCI for 1 (General) credit towards PHR, SPHY and GPHR recertification.